Many patients who have suffered from unsatisfactory rhinoplasty results begin to think about having a secondary procedure (revision rhinoplasty) to repair their nose. If you are one of these patients, it is very important that you choose the right surgeon to perform your secondary procedure. Revision rhinoplasty is one of the most complex of all plastic surgeries — a procedure that only a rhinoplasty specialist should perform. Once you begin your search for a revision rhinoplasty surgeon you will probably have some questions. Below we address some of the most common questions patients in your position have. Should I go back to the surgeon that performed my first procedure? This depends on the gravity of your situation. If something is just a bit off, it may be OK to return to the surgeon that performed your primary procedure for a small touch-up. However, if you have suffered disfigurement or are extremely unsatisfied with your results, by all means look for a different surgeon. 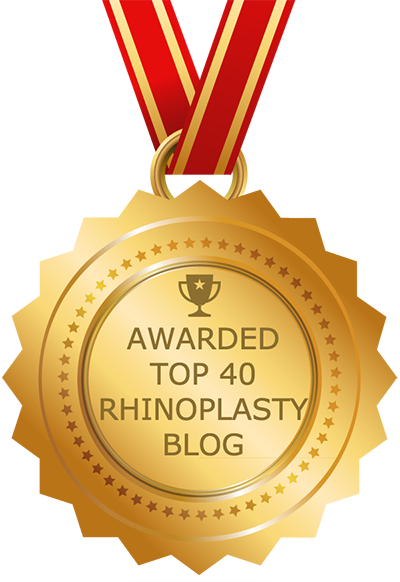 What makes a good revision rhinoplasty surgeon? The proof is in the pudding. A good revision rhinoplasty surgeon is one with a track record of positive results. The best revision rhinoplasty surgeons are usually board-certified facial plastic surgeons who specialize in nose surgery and have significant experience performing revision rhinoplasty. Most facial plastic surgeons have completed a residency in a related area – typically otolaryngology-head and necks surgery – and have gone on to receive additional training in facial plastic surgery. To become board-certified by the American Board of Facial Plastic and Reconstructive Surgery, a surgeon must pass an exam and submit a record of clinical experience that includes at least 100 facial plastic surgeries. A good revision rhinoplasty surgeon will also be able to show evidence that he or she performs a high volume of surgical cases every year. Another sign of a good surgeon is hospital privileges. To acquire such privileges a surgeon must be approved by a hospital committee. The committee will assess the surgeon’s education, training and skill level to ensure the safety of patients. What makes a bad revision rhinoplasty surgeon? The No. 1 sign of a “bad” revision rhinoplasty surgeon a reputation for negative results. Other bad signs include a lack of experience, training and/or board certification in facial plastic surgery. Also, if a surgeon you are considering doesn’t focus exclusively on facial procedures, walk away. What steps do I need to take to find a good revision rhinoplasty surgeon? There are several steps you can take in your search for a revision rhinoplasty surgeon. First, to start your search, refer to the website of the American Academy of Facial Plastic and Reconstructive Surgery (AAFPRS). Look for a board-certified facial plastic surgeon that specializes in rhinoplasty, has a track record of proven results and has demonstrated a clear devotion to patient care and safety. The surgeon should have experience not just in plastic surgery but specifically with complex rhinoplasty cases, including revision rhinoplasty cases. The surgeon should perform rhinoplasty and revision rhinoplasty on a regular basis. Your surgeon also should be able to show a high patient satisfaction rate; to determine this, ask for patient testimonials and try to speak with patients who have undergone surgery with the surgeon in question. Also make sure to look at the surgeon’s gallery of before and after photos to make sure you share the surgeon’s sense of aesthetics. Another important factor is the equipment your surgeon uses. He or she should have access to state-of-the-art technology to ensure safety, increased precision and less downtime. Tip: Look for a surgeon who has been named a “Top Doctor” by prominent publications and organizations. Media exposure is an indication of a good surgeon. What questions should I ask my surgeon during consultation? Did you complete specialty training? What medical organizations do you belong to? What is your approach to revision rhinoplasty? How much time will I need to take off?